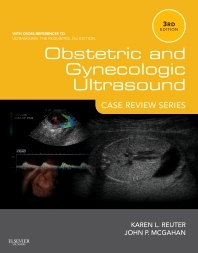 An outstanding title from the popular Case Review Series, Obstetric and Gynecologic Ultrasound provides 119 case histories, with over 300 corresponding images, questions, answers, commentary, references, and more, to enhance your imaging interpretation skills in obstetric and gynecologic ultrasound. Its discussions incorporate the most recent knowledge from OB/GYN ultrasound literature, providing an excellent review for residents and practitioners alike. Turn to Obstetric and Gynecologic Ultrasound as excellent review for the Boards! Effectively prepare for certification, recertification, and practice with content that mimics the new format of board exams as well as the everyday clinical experience.